I led the visual design and art direction of this project for The Bill & Melinda Gates Foundation. The outcome of a years-long study with thousands of teachers and students about how they use technology in the classroom—essentially, what works and what doesn’t. 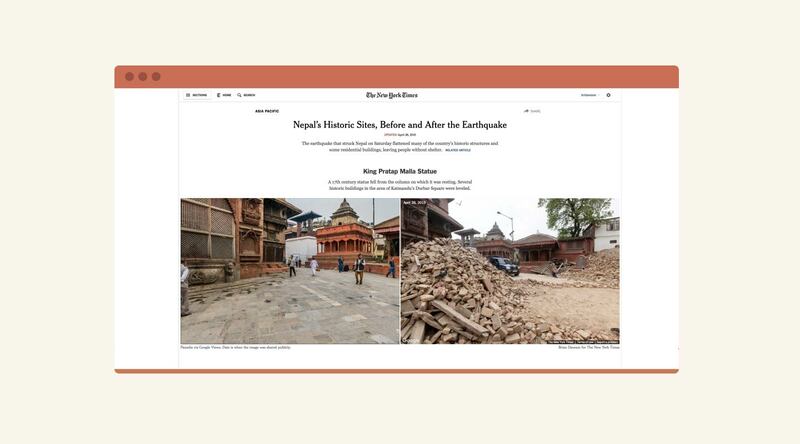 Working in partnership with the graphics desk at the The New York Times, I made numerous 360-degree panoramas of razed landmarks throughout Kathmandu, days after a magnitude-7.8 earthquake destroyed more than half a million homes. We paired the images I created with panoramas under public copyright to create immersive diptychs of loss and damage, of the city before and after. 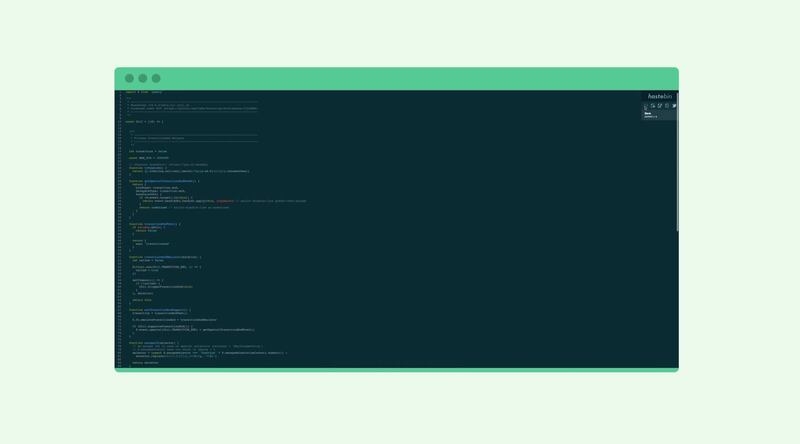 I designed a simple, open-source repository for software engineers to store and share snippets of code. The interface is styled to feel like a vim editor. The features are intentionally minimal to enable quick interactions. The application automatically detects the programming language to highlight the syntax accordingly. 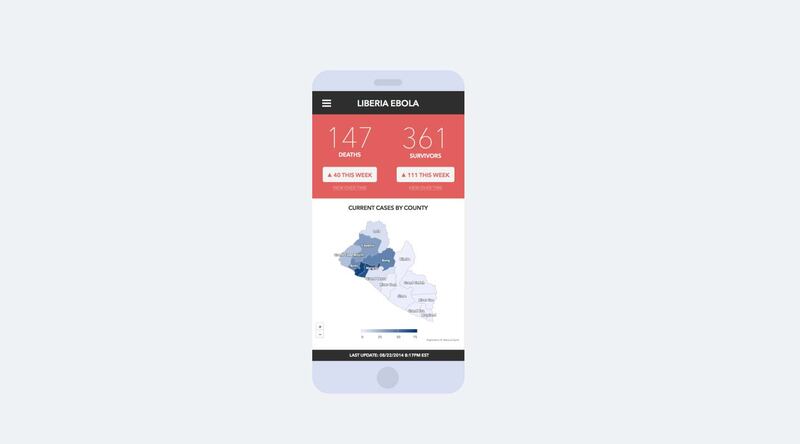 At the height of the largest Ebola outbreak, in terms of cases and deaths, since the discovery of the virus in the mid-70s, I worked with a small team of volunteers from across the US to design a sort-of visual dashboard of Liberian public health data. The project, at one point, was used to brief the Liberian president, Ellen Johnson Sirleaf. I led the design of a Union Square Ventures-backed startup. 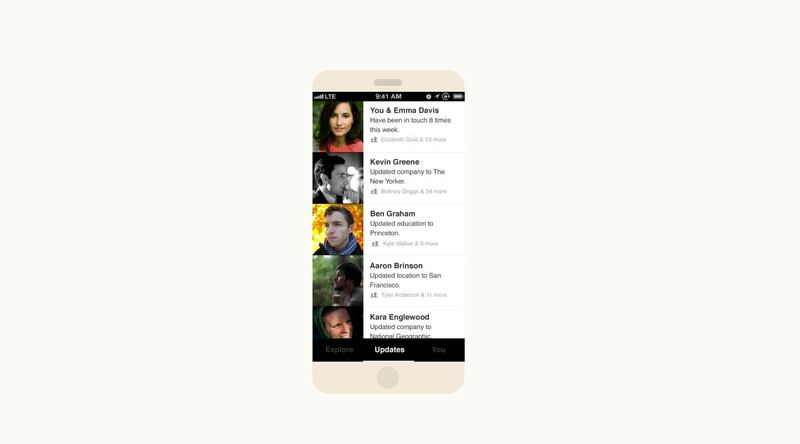 The app was built to help people manage, search and organize the wide range of names, faces and contact information they have for the people they know. A powerful search engine enabled a person to look up everyone they know, across all of their social networks. Next time they’re traveling to say, Paris or Denver. They could look up who they know there. Or if they’re looking for friends with a specific profession or skill—it was made searchable. The app could also gently remind a person, for example, if they had fallen out of touch with friends they regularly email.